Truth be told, this has not been the Summer of Cooking. I’ve been making a lot of tried-and-true favorites, and we’ve also just been foraging for food when we’re hungry. Turning on the oven in July feels anathema to me. I don’t remember if I was always this averse to summer cooking, but it’s been bad this year. When I have been trying new things that require heat, and that aren’t pie or jam, I’ve been cooking almost exclusively out of The Splendid Table’s How to Eat Supper. I bought this gorgeous book years ago on a recommendation from a blog somewhere (I had never heard of the famous show before), and I’d always wanted to delve into it. But, at the time, I didn’t think my cooking skills were up to par. I’m not sure why that was because these recipes are pretty accessible. And insanely elegant (except when I plate them because I am awful at plating). 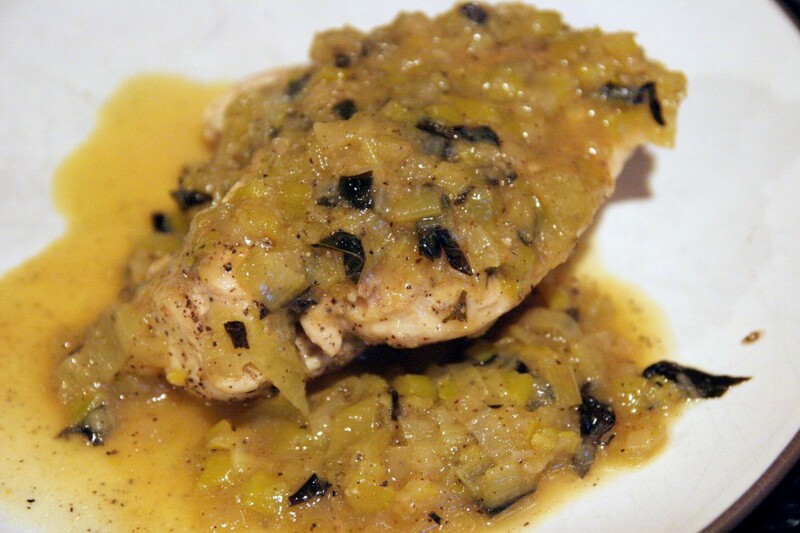 This was one of the first recipes I tried; perfect, delicious chicken in the most amazing bath of braised leeks in under 30 minutes. And the tarragon is just right. So. Good. 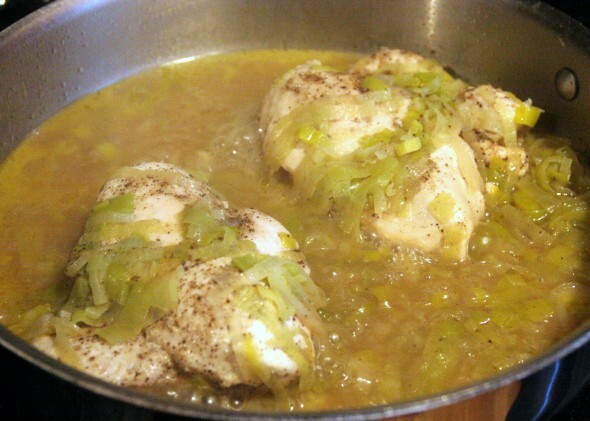 Put the leeks in a large skillet with the chicken broth and 2 tablespoons of the butter. Cook at a gentle boil over medium heat for about 8 minutes, until the broth has boiled down enough that the leeks aren’t submerged. 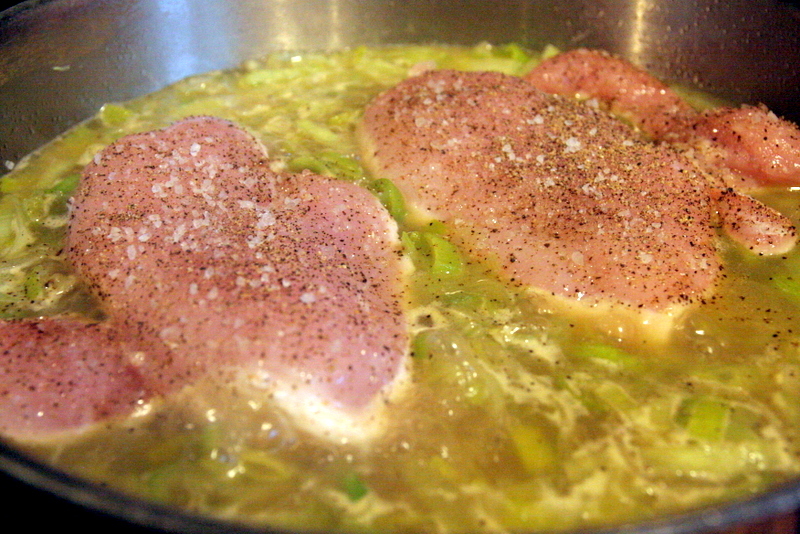 Sprinkle both sides of the chicken breasts with salt and pepper. Place them on top of the simmering leeks. Spoon some of the leeks over the chicken, cover the pan, and reduce the heat to low. Cook for 10 minutes or until the chicken is cooked through (large breasts could take up to 15 minutes). Transfer the chicken to a warm platter. 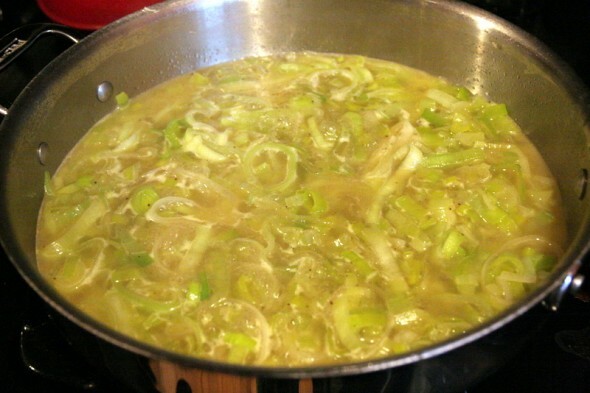 Increase the heat under the leeks to high. 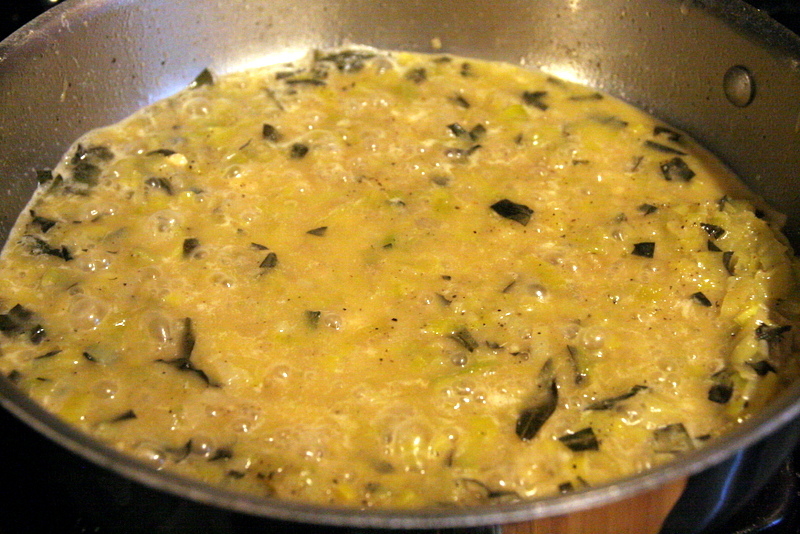 Stir in the lemon juice, remaining butter, and tarragon. When the butter melts, season to taste. 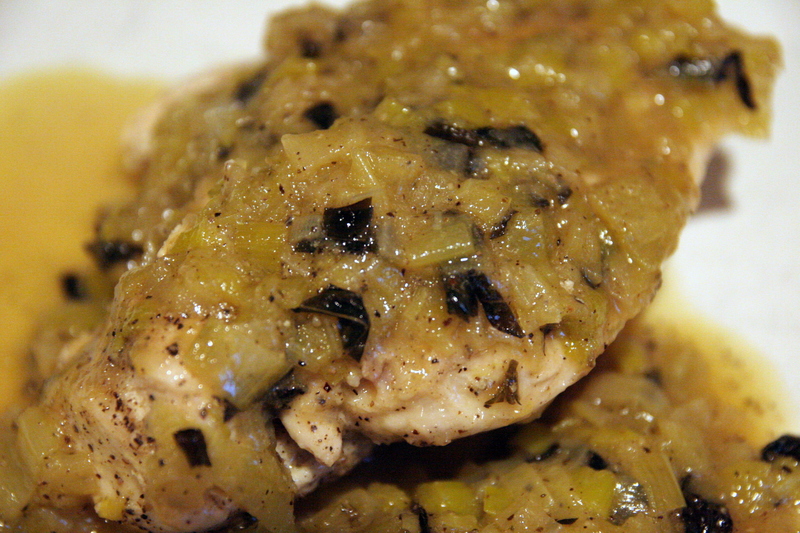 Pour the leek sauce over the chicken and serve.